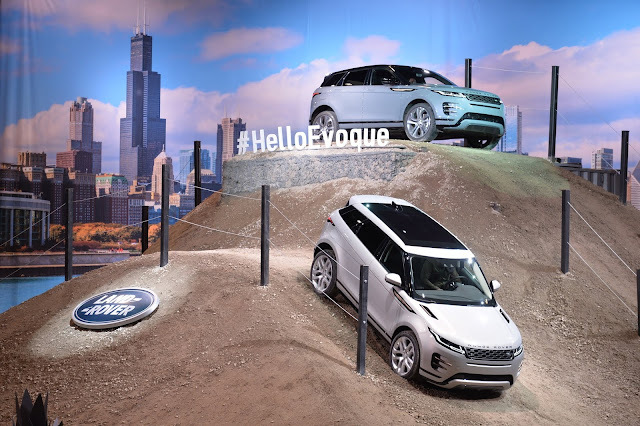 The 2020 Range Rover Evoque compact luxury SUV made its global debut in London in November 2018, and features an all new design language, advanced driver assistance technologies, a new hybrid-electric powertrain option and groundbreaking off-road technologies. Building on the original model's instantly-recognizable design, the new Range Rover Evoque is a sophisticated evolution of the original's distinctive coupe-like silhouette. The new Range Rover Evoque will be available from launch with a 48-volt MHEV powertrain that harvests energy normally lost during deceleration and stores it in the underfloor battery. The new Range Rover Evoque is also the first vehicle to feature 'ClearSight Ground View' technology, which is designed to allow the driver to virtually see through the hood and under the front end of the vehicle by projecting a 180-degree view of the ground onto the vehicle's upper touchscreen2. 1All prices shown are Manufacturer's Suggested Retail Price. Excludes $995 destination/handling charge, tax, title, license, and retailer fees, all due at signing, and optional equipment. Retailer price, terms and vehicle availability may vary. See your local authorized Land Rover Retailer for details.